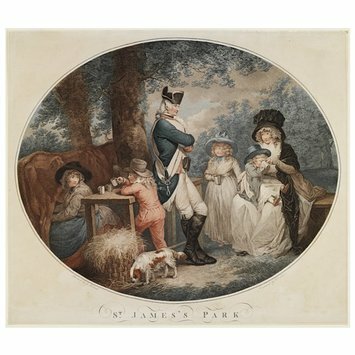 Print, in an oval border, depicting a solder and his family drinking milk from the cows in St. James's Park. 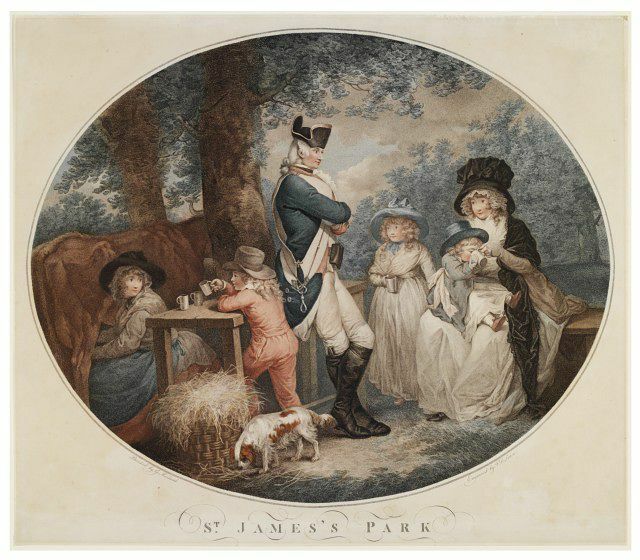 The soldier rests against a table at the centre of the picture, with his arms folded, and faces right; slightly to the left is a young boy, holding a cup and attracting the attention of a milkmaid. On the right sits a woman with a young boy on her lap and a young girl standing beside her. There is a dog in the foreground of the picture. Colour stipple engraving with additional hand colouring. François David Soiron after a work by George Morland. 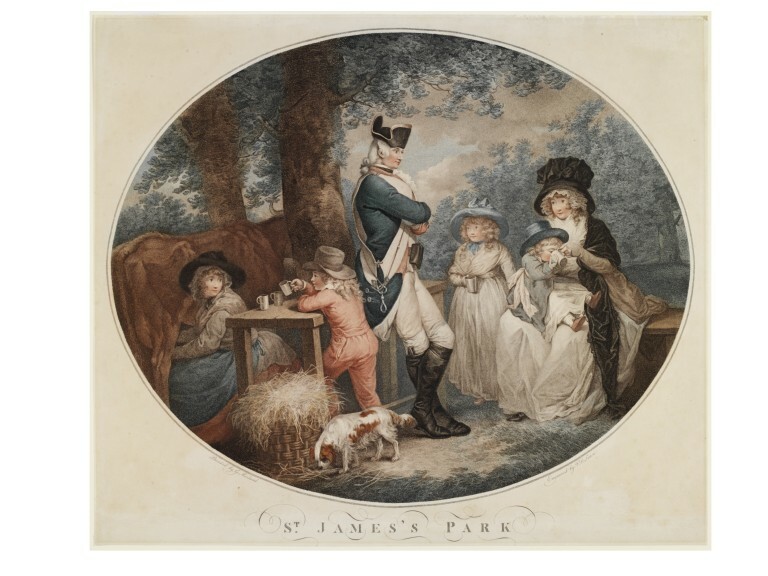 St. James's Park, published by T. Gaugain in 1790. Victoria and Albert Museum Department of Prints and Drawings and Department of Paintings, Accessions 1963 . London: HMSO, 1964.